The men’s quarterfinals has revealed an inherent difference in nature between two of tennis’s top players, Andy Murray and Novak Djokovic. Both were injured in their quarterfinal matches, Murray with hip and back problems, while Djokovic complained of elbow injuries. But there were some major differences in the way the two players carried out their matches even while they were not in perfect shape. 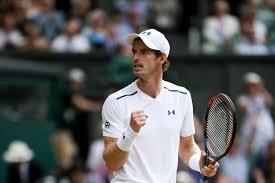 Murray would bow out in a tough 5 set match, 3-6, 6-4, 6-7 (4-7), 6-1, 6-1 to Sam Querrey. 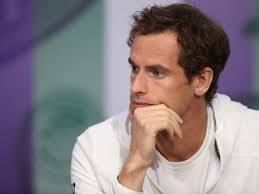 Even after losing the second set, Murray would not simply retire from the match, but would try his best to fight back. Even after losing the fourth set horribly, he would continue on into the fifth set, completing the match. The thing is, at that level, when you are playing the quarterfinals of a Grand Slam, no one, not even your opponent wants to win by default. They’ve reached that stage because they’ve worked hard, because they earned it. Forget the opponent, the spectators have paid so much money to watch that match, that it is down right disrespectful to leave a match when it has just begun. Djokovic played his quarterfinal match against Tomas Berdych. Djokovic’s first set was so close, 6-7, and he showed no sign of serious injury while the ball was in play. With such a close score, much closer than Murray‘s 6-1 fourth set defeat, it is hard to believe that Djokovic was truly so injured that he needed to retire. And if he was in fact, so injured, it would have been better to not have played the match at all, than to rob your opponent of the joy of winning. We don’t even need to mention how disgruntled the crowd would be. When Djokovic announced his retirement, the boo’s were loud and clear from the crowd. As Novak and Berdych met at the net, Djokovic would pat Berdych on the neck and cheek as if he was a little boy. If that isn’t condescending to your opponent, and if retiring so easily from a match like Djokovic has done multiple times isn’t in some way disrespectful to the game, then what has tennis really become? Talk about pretentious….sachi? At least put a full name and identify yourself when demeaning a grand slam champion. Excuse me but do you happen to know the severity of the injury? Or if playing on could have caused further damage. Perhaps Nole’s coach, Mr Agassi, knows a little bit more about playing with a chronic injury, having done so himself. Lastly, Novak and Berdych are friends. That was a show of affection and friendship not condescension. Looks like someone’s a bit biased in their reporting….sachi. Please, who do you think YOU are…. a Brazilian soccer star?